There are many drivers for a business to adopt a cloud hosted email alternative such as Microsoft hosted exchange. 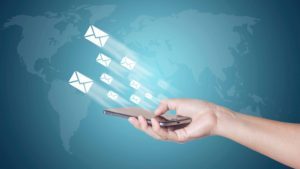 One driver that stands out is the significant growth by workforces to use an array of devices with an expectation that they can communicate and access their email anytime and anywhere. Microsoft hosted exchange with a monthly subscription fee provides significant savings and flexibility over the traditional on premise model. An affordable fee that allows an organisation’s workforce to communicate, collaborate and engage with colleagues, customers and suppliers when they need to. No more unexpected financial outlays for upgrades and increased functionality as the monthly subscription fee provides access to all upgrades and patches on every device at no additional cost. Computer Troubleshooters strength is assisting your organisation to make this move - while delivering significant savings, and increasing your staff's productivity. Computer Troubleshooters Cronulla Caringbah will undertake a full IT assessment and then develop a plan for your migration to cloud hosted Microsoft exchange email. In addition we will assist you with domain registration, DNS hosting, hosted storage and virtual servers for a line of business applications. For a monthly fee per mail box Computer Troubleshooters will provide ongoing administration and support for managing passwords, user management access and ongoing monitoring. Extend this to the implementation of a complete cloud structure using Microsoft Office 365. Let the right technology solutions support you in taking your business to where you want to go. Contact us on 0430 368 550 to talk with your local friendly responsive Computer Troubleshooter on how to get started.